U.S. Rep. Rashida Tlaib (D-Detroit) will introduce a resolution to impeach President Donald Trump, according to her office. Tlaib’s resolution will specifically ask the U.S. House Judiciary Committee to investigate grounds for impeachment — a move that comes after the release of a video in which the congresswoman vowed to supporters that she would work to impeach the president. Her Wednesday announcement came after meeting with activists near her Capitol Hill office who advocated for congressional lawmakers to take steps to oust Trump. 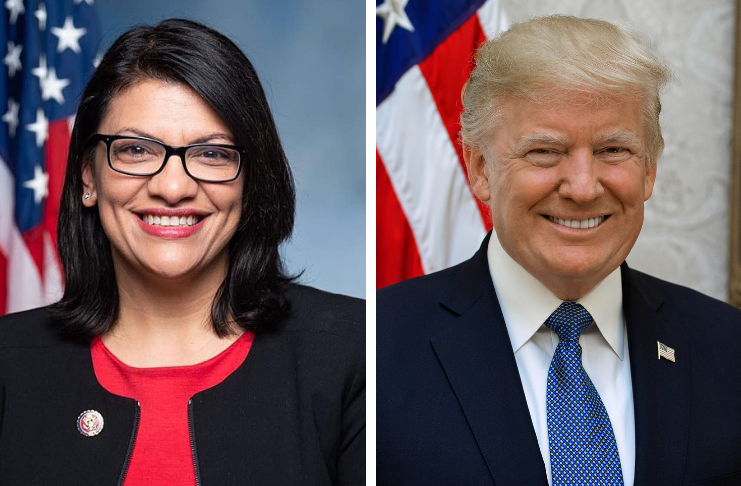 “This president continues to violate the Constitution and perform impeachable actions while in the Oval Office,” Tlaib said in a statement. The criticism tended to deal more with her explicit language than the call to impeach Trump. Democrats, who won control of the U.S. House this year, have launched several investigations into Trump after Republicans largely avoided taking on the president last term. The U.S. House Oversight Committee, upon which Tlaib serves, last week questioned former Trump lawyer Michael Cohen. Various committees have requested documents from the president and top officials, including his sons, Eric Trump and Donald Trump Jr. President Trump’s tax returns could be next. While Democratic committee chairs have not called for impeachment, Tlaib and others have been vocal that they believe it’s warranted. Liberals and others have argued that the 2016 Trump campaign’s involvement with Russia and his alleged obstruction of justice in the ensuing federal investigation are grounds for impeachment. Democrats like U.S. Rep. Dan Kildee (D-Flint) also have said his business dealings and payments to adult actress Stormy Daniels, with whom he allegedly had an affair, could be grounds for impeachment. A federal watchdog group has suggested that the president’s International Trump Hotel in Washington, D.C., may violate U.S. Constitution clauses meant to prevent corruption — known as the Emoluments Clause. The office — called the U.S. Office of Inspector General — released a report that said the constitution was “improperly ignored” related to the sale of a former post office building in D.C. that became the Trump International Hotel. Inspector General Carol F. Ochoa has said that Trump’s interest in the lease “raised issues under the U.S. Constitution that might cause a breach of the lease,” but the report did not delve into the issue of whether his lease on the property actually violated the Emoluments Clause. Trump’s lawyers say he signed the lease before he was elected president. Liberal billionaire Tom Steyer has argued that numerous Trump business interests have violated the constitution’s anti-corruption Emoluments Clause, and has said Trump should be impeached for that and other reasons. Conspiring with others to commit crimes against the U.S.